Recently we have been getting some questions about sites that sell fake high school diplomas. Our entire review process consisted of purchasing fake college diplomas from eight different sites. Initially, it was our purpose to find out which sites created the closest match to our original college diploma and which companies gave us the best overall experience in terms of quality, customer service, shipping and processing, etc. Since then we have been approached with all kinds of requests about different types of fake diplomas. However, to be completely fair to all of the sites that we reviewed, we cannot say with certainty that we would also have had the same experience buying their fake high school diplomas or other diploma types instead. All of sites that we fully reviewed do sell fake high school diplomas, except one: ND-Center.com. They do have a $200 option for any custom-created document, which may include a fake high school diploma, but it is not explicitly stated anywhere that I could find. Also, ND-Center is ranked dead last on our list, so we would not recommend them anyways. I think it is probably safe to assume that the quality of the fake high school diplomas on any of the remaining seven sites would probably be comparable to the fake college diplomas that we received during our review. Also, the type of the document should not significantly affect the overall customer service or the shipping and processing experience with the company. We believe our fake diploma reviews would hold true had they been for fake high school diplomas instead, but we will not say this for certain. It is possible that in the near future (especially with continued interest by our readers) that we may look into doing a separate review page just for fake high school diplomas. Also, there seems to be some noticeable differences between how each site organizes its fake high school diploma categories. PhonyDiploma.com and Buyafakediploma.com, for instance, organize their selection by state – with an order form for each state. NextdayDiplomas.com, on the other hand, lets you pick your own template from a line-up, while DiplomaMakers lets you build your own diploma by selecting seal placement and other characteristics. DiplomaCompany.com and Diploma-World appear to be the only sites that boasts a high school replica selection (we would love to test this out) and DiplomaXpress doesn’t give you much choice at all when it comes to picking the look of your fake high school diploma. The choice, in the end, may just come down to price for you – but personally, we would recommend that you use our fake diploma reviews as a sort of guide to show you where to start looking. 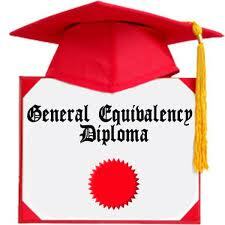 Hopefully in the future we will have something tailored more specifically to the fake high school diploma crowd!